Originally published in Concordia Theological Quarterly Volume: 68 Number: 3 in 2004, p. 195-206. Bible. Old Testament--Criticism, interpretation, etc.Theology, Doctrinal.Trinity--Biblical teaching.God (Christianity)--Attributes.Historicism.Modernism (Christian theology).Narrative theology. 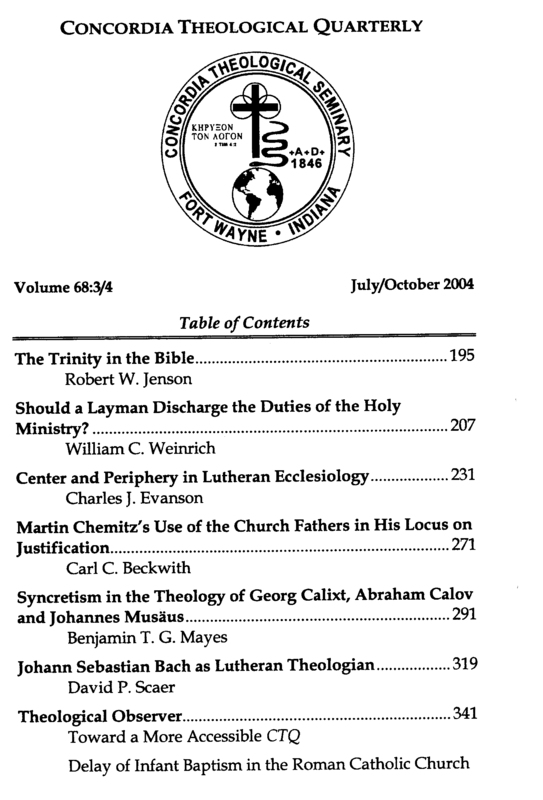 © 2004 Concordia Theological Seminary. All rights reserved. Permission granted for personal, educational and parish use.